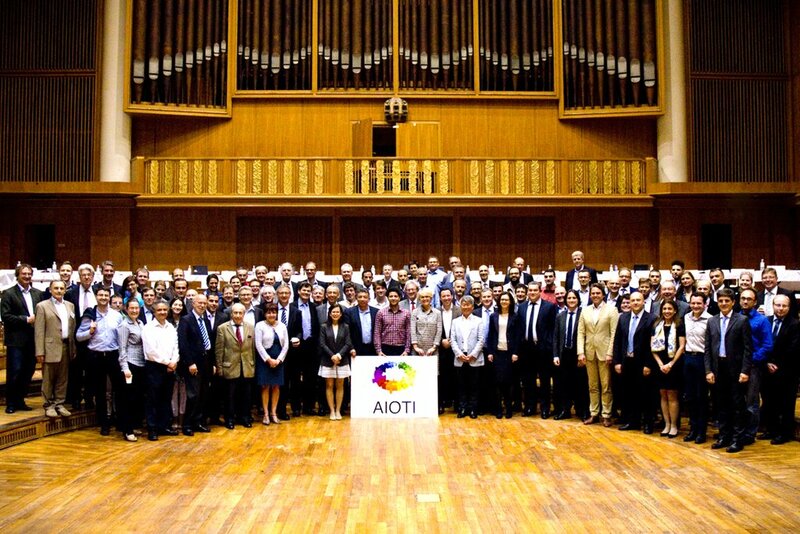 AIOTI is an initiative launched by the European Commission in order to develop and support the dialogue and interaction among the Internet of Things (IoT) various players in Europe. The work is to play within this alliance, it is based on the results of the European Cluster Research on the Internet of Things (IERC).The overall goal of the AlOTI is the creation of a dynamic European IoT ecosystem to unleash the potentials of the IoT. This ecosystem is going to build on the work of the IoT Research Cluster (IERC) and spill over innovation across industries and business sectors of IoT transforming ideas into solutions and business models. The Alliance will also assist the European Commission in the preparation of future IoT research as well as innovation and standardisation policies. I had the intense pleasure to participate in the decision-making for future actions within the association, besides breathing such a professional environment where leading experts in the field shared their knowledge with attendees. At a personal level I think the association has big potential and is the boost needed to materialize in the market the effort that is being carried out in Europe since long time within the field of IoT.